At the end of March, we disclosed the coverage of an Exploit Kit we called “Hello”: http://blog.talosintel.com/2014/03/hello-new-exploit-kit.html, or “LightsOut”, we thought we’d do a follow up post to tear this exploit kit apart a bit more. This variant of the LightsOut exploit kit uses a number of Java vulnerabilities, and targets multiple browsers. The primary goal is to drop & execute a downloader executable, which in turn downloads and executes more malware samples. These secondary malware samples are run in a sequence, and do some information harvesting, and potentially exfiltrate the information harvested. Overall, not fun for visitors to sites compromised with the LightsOut exploit kit. Because of the number of Java vulnerabilities leveraged by this kit; it's important to keep Java updated, and make certain that outdated versions of Java aren't still sticking around on your PC. 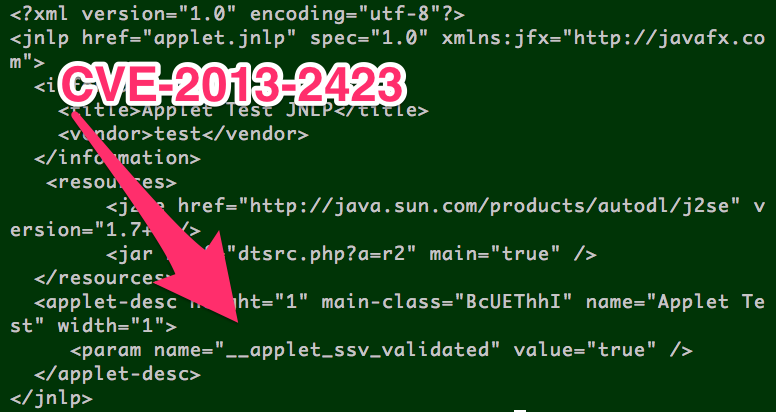 You can download a utility from Oracle to remove outdated versions of Java, referenced by this article: https://www.java.com/en/download/faq/uninstaller_toolinfo.xml. A detailed analysis on how the kit operates is below, under Browser Trajectory Analysis. The first stage leverages a holdover technique from the Internet Explorer 6 era – the HtmlDlgSafeHelper ActiveX control; to check if a list of over 700 fonts are available to the browser. This is entirely unrelated to any compromise method, but may be a method of "fingerprinting" the installed version and language packs of Windows + Internet Explorer, based on available fonts. The list of found fonts is concatenated together, MD5 hashed, and the hash is submitted to the malicious site. Interesting: has unused/commented-out code for detecting Microsoft SharePoint plugins. All of the exploits are called by dynamically appending an <IFRAME> tag to the document, pointing to one of the exploit URLs. This is the common IFRAME function leveraged by the dtsrc,php?a=h1 page. Here’s the unused detection routine for SharePoint — this may be an incomplete attempt to exploit the MS13-080 Microsoft Internet Explorer CDisplayPointer Use-After-Free vulnerability. Nearly exactly the same as h2 page, the JNLP is encoded/presented differently. And it’s the exact same base64 encoded JNLP from H2. Heap Spray w/ DOM use-after-free vulnerability - we have ongoing research to determine exactly which CVE it is. CVE-2013-2465 is the Incorrect image channel verification (buffered image) vulnerability, which permits execution of arbitrary code. Ultimately downloads to disk and executes an executable (ntsys391.exe). This JAR has a pretty simple IDS evasion technique where it decodes the URL to download the executable at runtime, through simple XOR routine. This exploits the getClassLoader vulnerability - by modifying a class file by hand, you can confuse the Java runtime between a static variable and an instance variable. This results in code being executed outside of the java sandbox, when it hasn't been verified as safe. When successful, it downloads an executable from a hardcoded url to the Java temp dir, and saves the file as ntsys391.exe. The hard-coded URL is the same .php file as the rest of the exploit kit including the fully qualified domain name. This may mean the exploit kit is rebuilt for each compromised host, or the r7 jar is dynamically built for each request by PHP. Phones home to C2 w/ a POST request (see “Network Indicators” below) to retrieve other executables to download.